This engaging and free printable Mother’s Day questionnaire is the perfect addition to any Mother’s Day gift or card. Moms will be sure to get a kick out of their children’s endearing responses. Younger learners will dictate their responses to teachers. Older students may copy their answers onto their papers, while some may even be able to write some of their own words. DOWNLOAD THE MOTHER’S DAY QUESTIONNAIRE. Spring is here and what better way to welcome the season than with kites? 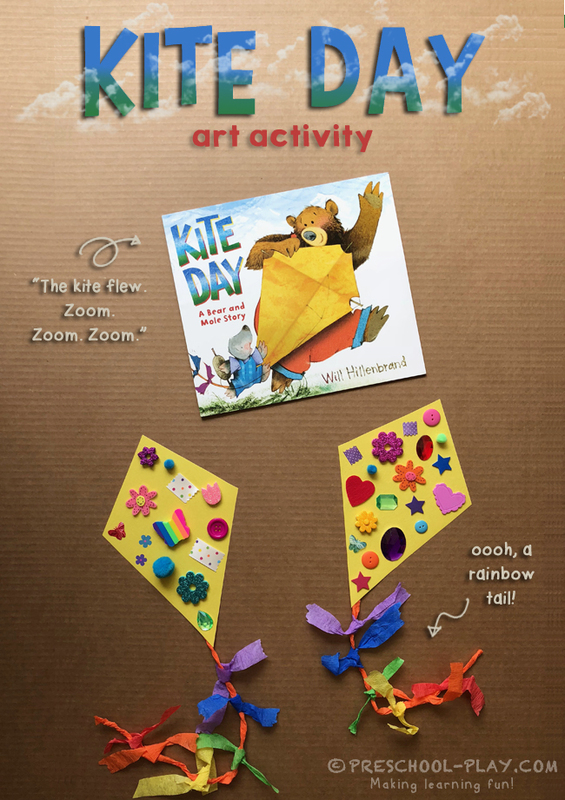 This colorful kite craft is a delightful extension to the book Kite Day: A Bear and Mole Story by Will Hillenbrand. Bear and his best friend Mole passionately work together to make a kite for this very special occasion. Finally, the kite is soaring up, up, up! But when a storm rolls in…SNAP! The kite string breaks and Bear and Mole run after it. They find it resting in a tree protecting a nest of baby birds from the pelting rain, and are subsequently greeted by a very thankful mama bird. Hillenbrand does a wonderful job of emphasizing the pro-social themes of friendship, cooperation, and sharing. 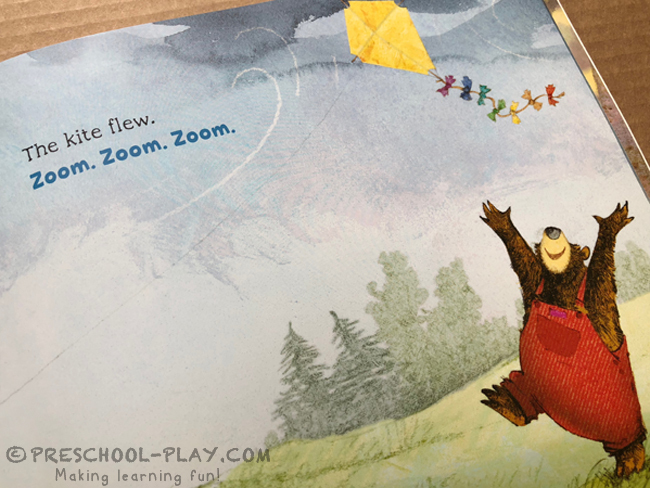 Children enjoy the adorable characters and the way the golden kite, with its vibrant rainbow tail, stands out against Hillenbrand’s classic, muted watercolor illustrations. This darling tale makes a perfect read-aloud for preschoolers. So what are you waiting for? 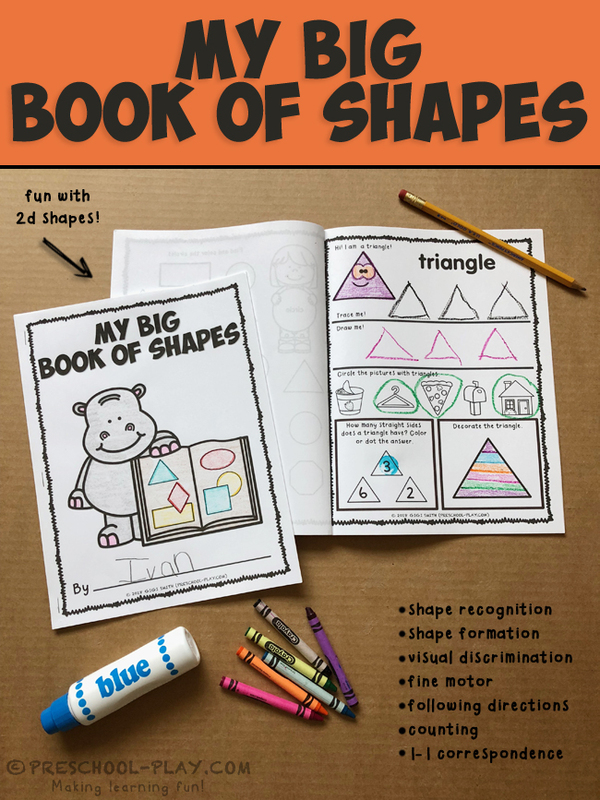 Grab the book, download our kite template, gather up some collage materials, and join in on the fun. We used crepe paper for the tails, but yarn will work as well. 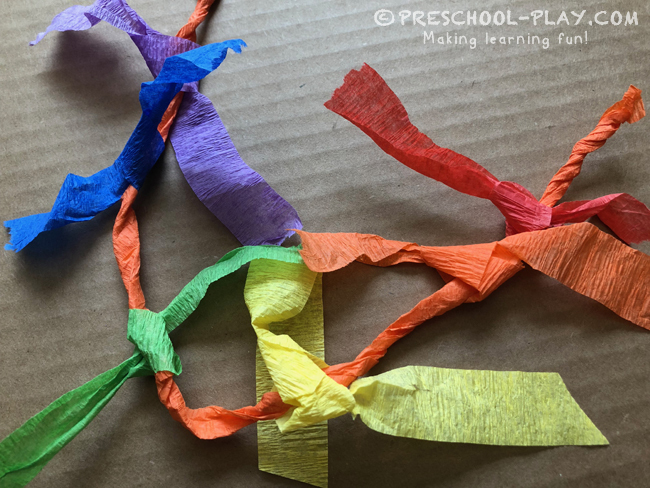 Be sure to discuss the order of the rainbow with your learners, and to encourage older children to cut out their own kites and to tie their own bows (just a starting knot).